Fluorite appears in a range of wonderful colours and forms, as well as being perhaps the best anti-stress stone available. 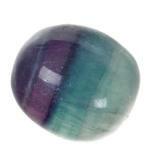 Whether used in healing or to improve the ambience of a room, fluorite is soothing, calming and cleansing. 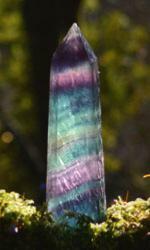 "Fluorite can bring a cleansing, tidying, mint-like freshness of springtime to the chakras and eliminate negativity”. Melody, Love is in the Earth. "Fluorite can bring a cleansing, tidying, mint-like freshness of springtime to the chakras”. Melody Love is in the Earth.